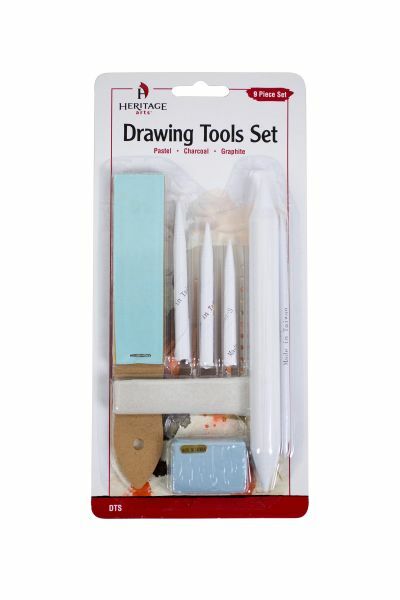 For use with pastel charcoal and graphite. 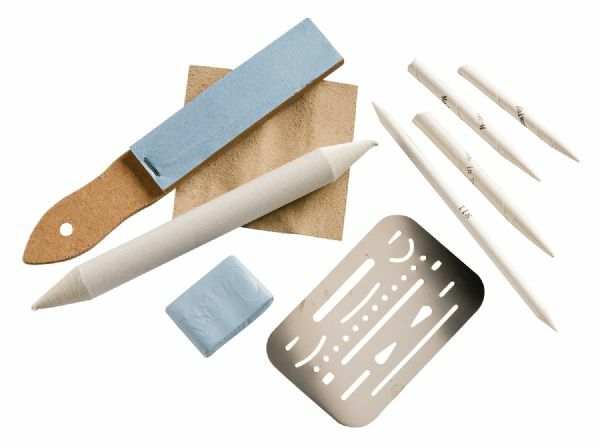 * Set includes a sandpaper pointer for pointing pencils leads and charcoal by hand; kneadable eraser for erasing and shading; erasing shield for precise controlled erasing; paper stumps with double pointed ends (can be repointed with sandpaper) for blending; tortillions for blending; and a 3" x 3" chamois for blending and shading. The type is drawing tools. 9.5" x 4.5" x 0.5"